John The Baptist « God is Good! Seek the Lord while He may be found! Jesus said, “No man ever born was greater than John the Baptist.” One happening in the exciting Life of the Baptist has always inspired me to persevere in prayer. John, the ever courageous preacher and forerunner of Jesus, the Messiah, his cousin, rebuked King Herod for his loose way of life. The King, then threw the Baptist into a dirty dungeon in his summer palace, close to the Dead Sea. For six months, John made no efforts to contact Jesus, a new powerful voice coming on the scene, except for one occasion. He sent a message to Christ to ask Him if he were the Messiah to come. Notice, the Baptist, the prisoner, made no pleas for deliverance from his sad state. From this attitude of John’s, I drew much inspiration. He bore the silence of Jesus without complaint or hard feelings. From reports, he knew that Christ was aware of his imprisonment. One day, the executioner came to take his head and John humbly submitted. The awful silence of God. How often I have prayed and told God all my needs. . . Please take away this sickness. . . Release me from this prison of darkness of spirit. . . Help me to keep love in my heart amidst these cold living conditions. . . I never seem to have peace in my life. . . Only, silence from God greeted most of these pleadings. I knew He heard me and had power to release me from the many dungeons in which I found myself. Then, my faith faced a challenge. “God doesn’t care about me.” Fortunately, the example of the Baptist came to mind, his quiet acceptance of Christ’s silence during his six month imprisonment. I continued to prayer with complete peace of heart. 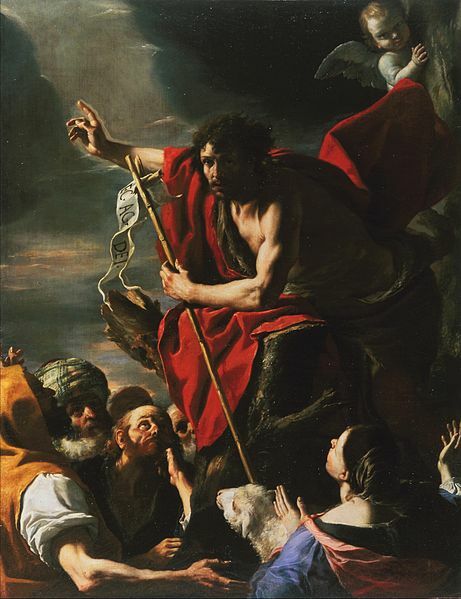 One modern John the Baptist stands out in my life. His name coincidently, was John too – Father John Hinsvark. Back in 1976 I lived with this priest in Bethel, Alaska, a community of 3,500 people, of whom 70% were Eskimos. About 500 miles west of Anchorage, with no roads in between, Bethel and its jet airport stood as the largest community in far western Alaska. Among the 38 priests in the Fairbanks Diocese, John and I were the only two diocesan priests; the others were Jesuits, including the Bishop. Pleasant, lighthearted, generous in his words of encouragement, Father John overlooked my weaknesses and shared his wide knowledge of Eskimo life and culture with me. Twenty years my junior and already 20 years in Alaska when I arrived on the scene, this physically strong man accepted me warmly and made me feel wanted and important. What I found most appealing in my days with him was the predictability of his behavior. Day in and day out, my new found friend had few highs and lows, no swings of mood. No matter what happened, he remained kind, considerate, even tempered and patient. His closeness to Christ, his belief in prayer, helped him live this way. After a time, I began saying to myself, “If Christ is helping him to be this kind of person, I want to know this Christ better, more intimately. Even now, 38 years later, Father John’s way of life still influences my actions. In Bethel, the Eskimos cherished his presence. At this time in 2014, Father John is retired living in Anchorage, but still helping out his brother priests in the three Alaskan Dioceses. I assure myself, if I stay in close union with Christ each day, I, too, can be cheerful, in good spirits, and supportive of others with me on the Glory Road. Thank You Lord, for bringing this great hearted person into my life, a John the Baptist for me! Start out in the morning with a plan of action in our minds. When unexpected things happen, we will be ready to respond in a patient, even tempered say as Christ would do. Lead others to the Lord! The son of Patrick and Mary (O’Malley) McKenna, Fr. George was a graduate of St. Theodore Grammar School, Quigley Seminary North, and St. Mary of the Lake Seminary. On May 6, 1944, he was ordained by Samuel Cardinal Stritch and faithfully served the Archdiocese of Chicago for 75 years. 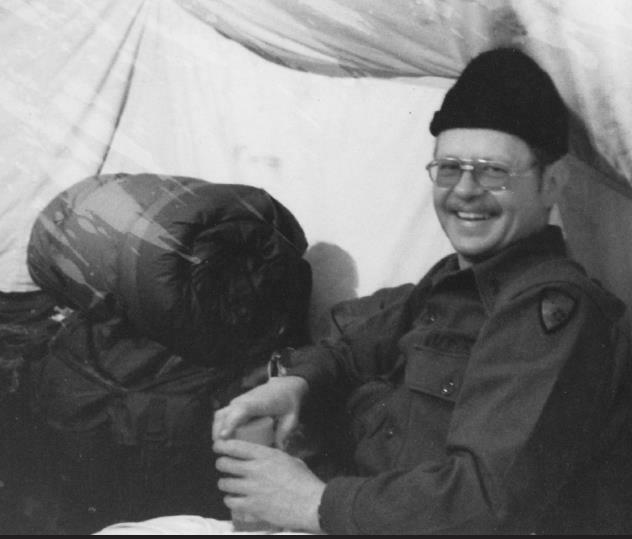 His assignments included: Maryville Academy (1944-1949), Teacher at Quigley Seminary North and South (1949-1968), Christ the King (1963-1968), Pastor of St. Barnabas Parish (1970-1976), Missionary at Fairbanks Diocese in Northern Alaska (1976-1977), Pastor of St. Catherine of Alexandria (1978-1982), Associate Pastor of Our Lady of the Snows (1982-1989). While assigned to Our Lady of the Snows, he would walk around Midway Airport for exercise and would stop in there to warm up. When he realized there was no Chapel at Midway, he knew his next calling and he founded Chicago Midway Airport Chapel on July 24, 1988 and served as the Chaplain until 2011. 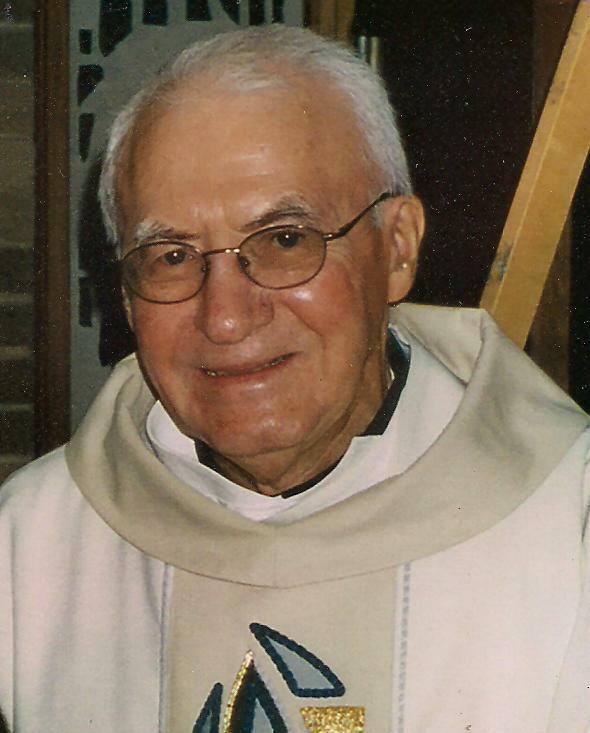 His life long quest was to know and love Jesus of Nazareth, and Fr. George traveled to The Holy Land 27 times during his life, to walk in His footsteps and grow in his love an understanding of Our Lord. Fr. McKenna wrote four books: A trilogy titled “I’ll Only Speak for 3 Minutes” and his last work, “Wisdom From the Pulpit“. After his retirement as Chaplain in 2011 he started this Blog and began sharing old and new messages of faith, hope and love that he had written as homilies over the years. This Blog will remain active until his treasure trove of messages is exhausted.